Artificial intelligence is an emerging technology that is helping every sector to improve its functionality and precision without human intervention and instruction. In healthcare sector artificial intelligence uses software and algorithms to predict the diseases by analyzing the complex medical data. Artificial intelligence in healthcare basically installed to analyze and create relationships between diagnosis techniques and patient outcomes. Artificial intelligence has been developed as per the needs of healthcare sector to ease to the process of diagnosis, drug development, patient monitoring and therapy planning. As a result of regular research and developments in artificial intelligence technology, the cost and installation expenses have been reduced gradually and the implementation of artificial intelligence technology is rising in every sector. AI technology can perform various tasks that require human intelligence such as learning, querying, reasoning and problem solving. Artificial intelligence can strongly manipulate the manufacturing process by collecting real time data by using advanced technology like actuators, sensors and by collecting data over the internet connection. 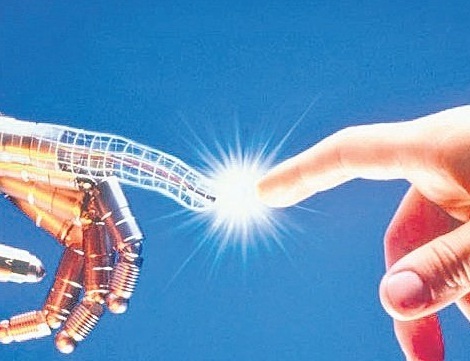 Developments and breakthroughs in the field of medical research, virtual nurse assistant, dosage error reduction and robot assisted surgeries are expected to boost artificial intelligence in healthcare sector globally. Innovative technology for new treatment methods and diagnosis will significantly impact the growth of AI market in healthcare sector. Rising need for handling and storage of big data effectively, generated by the healthcare sector will propel the growth of global artificial intelligence market in healthcare sector. For instance, Coca Cola is one of the first companies to implement AI technology to get detailed insight from the data it collects from production, distribution to sales and customers feedback. Coca Cola is looking forward to develop virtual assistant or AI bots such as Alexa and Siri in vending machines. Implementation of AI will allow greater personalization - for instance users will be able to order their favorite blend from any vending machine, with the machine mixing it to their individual preference. Moreover, introduction of advanced technology for effective diagnosis and precision medicines will further accelerate the growth of AI market in healthcare sector. Introduction of virtual nurse assistance and chat bots which is gaining popularity will significantly raise the demand for such virtual assistance software among ageing population. Growing expenditures on modernization of healthcare sector in developed regions like North America and Europe will help the business to further penetrate in healthcare sector. However, data security remains the major concern for the market players as both accuracy and security required to foster trust in these new technologies. Lack of trust in AI technology may adversely affect the adoption of technology. The data collected by the AI systems is also very sensitive and needs to be safeguard with high security standards. Global artificial intelligence in healthcare sector is projected to register a CAGR of 36.05% during the forecast period i.e. 2016-2024. Further, the market accounted USD 0.61 billi0n in 2016 and it is expected to reach USD 6.6 billion by the end of 2024. Geographically, North-America accounted for largest share in AI technology revenue by 2016. In 2017, USA healthcare AI market size is expected to surpass USD 300 million. Rapid adoption of AI technology by North America and encouraging government initiatives will drive the growth of AI market. Asia-Pacific and Europe is the most opportunistic region across the globe. U.K is leading country in Europe for artificial intelligence market in healthcare sector owing to wide adoption of AI for medical imaging, genomics and drug discovery. Huge healthcare data generation resulted into growing demand and need for AI technology.